February 11th in Premium Plug-ins, Premium Themes by Wordpress Jedi . Paypal Integration: Paypal is fully integrated into this theme. You can charge your visitors per each listing and start making money fast. 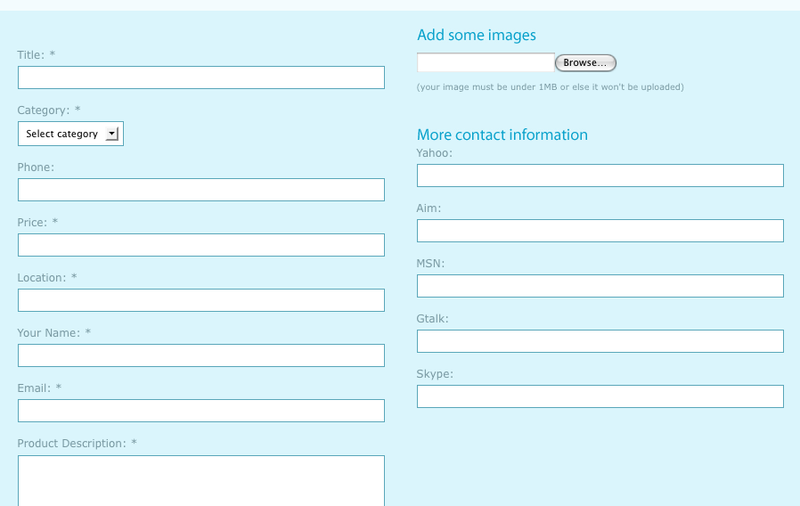 Image Manager: you and your users can upload images easily to your system. You can check the images through your image manager and delete the ones you don’t want. Subcategories: you can now add subcategories to your theme. The more subcategories you have, the more targeted your classified site will be. Report Spam: your visitors can now report spam listings and help you out with managing your classified site. Various Currencies: you can also choose various currencies for your site. You are not limited to $, which means you can have an international classified site. Classipress v2 has seen major improvements over the previous version. Classipress v1 was a fine theme but it did not include all the features you need to manage a classified site effectively. The price for a single license is only $49 but you can download the multi-site version for $149 (if you plan to own multiple listing sites). Write a review on this too. Has affiliates section too. Please advice whether the current wordpress.com allows us to upload this template with ClassiPress 2.0 and I think it is only meant for sites with own hosting. Need to clarify a bit here. You need to host your own Wordpress blog to put ClassiPress 2.0 on it. I haven’t checked WP Premium lately but they may have enabled this. Could someone posts a link to a script that does not cost money.. Investing in something that may not give results is not a good idea. I am with you on this but keep in mind that premium themes do come with support you won't get with free scripts. Previous post: WP 2.7.1 Is Out – Update Now!